Best Wishes - Gifts - Balloons - Perth City Florist - Free Flower Delivery Across ALL Perth Suburbs when you order online - Fast Online Ordering. 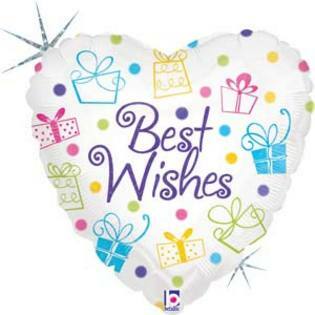 Description: Send all your best wishes with this helium filled balloon, an eye catching addition to your floral arrangement or hamper. Deluxe price includes a balloon weight. Balloons are not delivered alone, only as an add-on item to any floral, plant or hamper arrangement. Design of balloon my differ from picture.